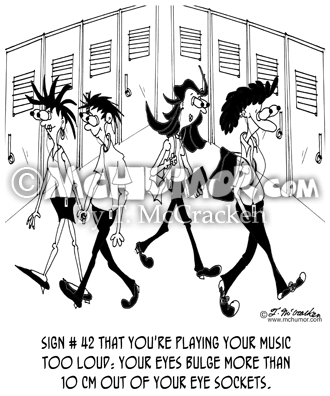 Music Cartoon 8039: Sign number 42 that you're playing your music too loud: Your eyes bulge more than 10 cm out of your eye sockets." 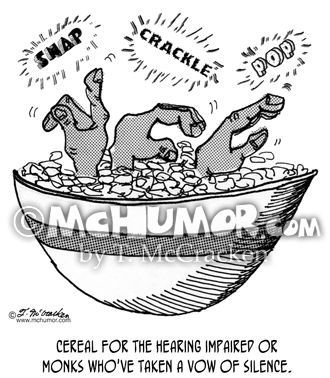 Disabled Cartoon 4039: "A conch shell for the deaf." 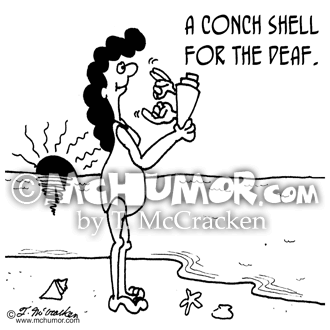 A beachcomber holds a shell with a hand coming out of it signing. 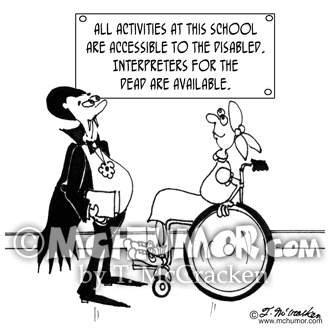 Disabled Cartoon 6563: A vampire reading a school activities board sign that says, "All activities at this school are accessible to the disabled. 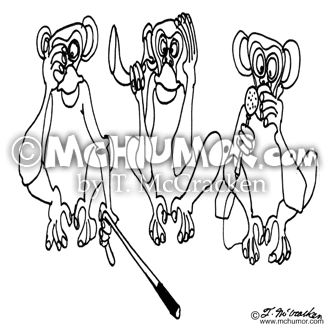 Interpreters for the dead are available." 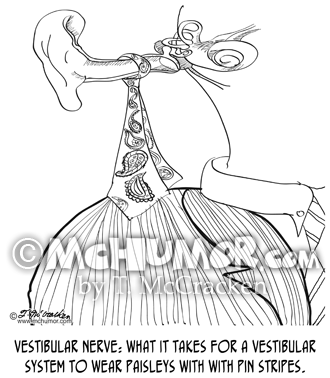 Ear Cartoon 8899: Vestibular Nerve: What it takes for a Vestibular System to wear paisleys with with pin stripes. 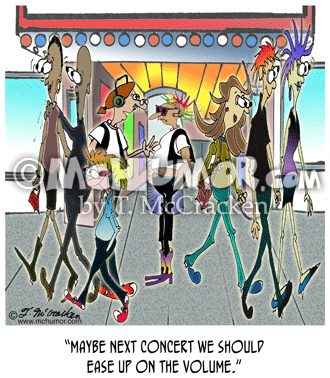 Music Cartoon 7844: Someone strains to hear music from something labeled "Soft Speaker." 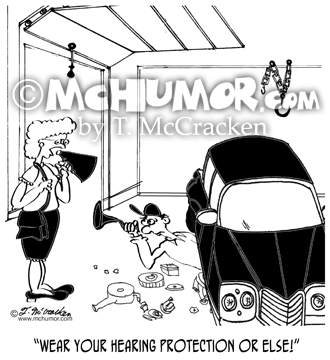 Another listens to a "Loud Speaker." 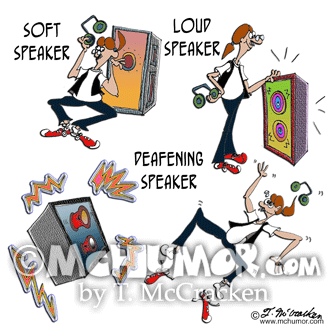 A third is blown away by one labeled "Deafening Speaker." 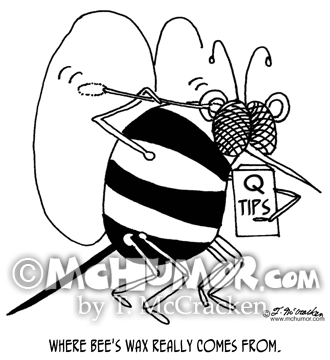 Bee Cartoon 5162: A bee using a Q-Tip in its ear. 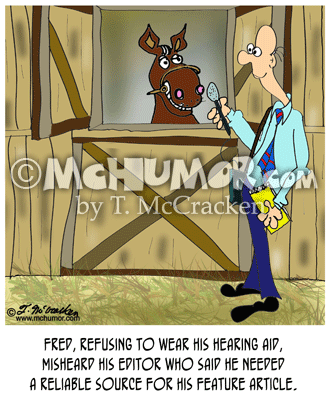 "Where bee's wax really comes from."